It was a very merry Christmas for Brentwood native and soccer phenom Karlie Paschall. 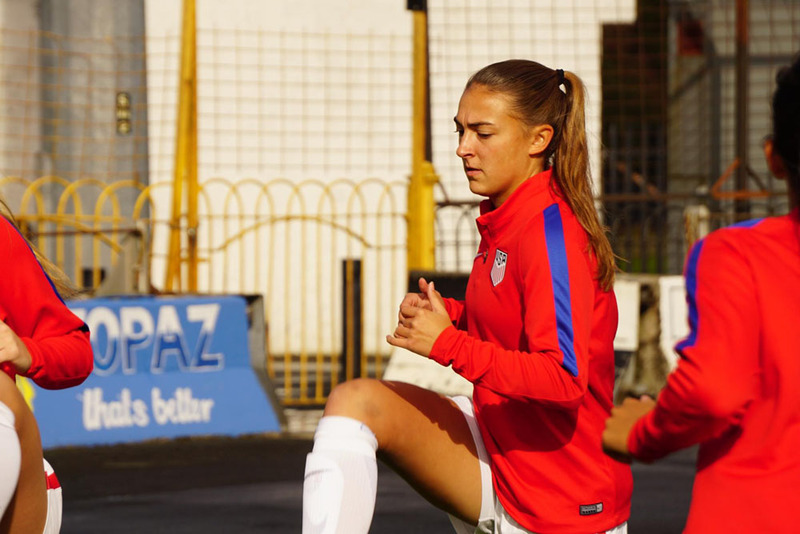 Fresh from a trip to Europe with the U.S. Women’s National U18 team in October, Karlie is still on cloud nine after recording her first assist in national team play during the team’s 3-1 win over France in the Women’s International Cup in Northern Ireland. The precocious teenager is still hyped about her performance in that game and believes the assist is a moment she’ll never forget. “I watch that assist over and over again,” she admits. Her assist came in the 53rd minute with the US up 2-1 over France. With the ball at her feet in U.S. defensive territory close to 20 yards behind the midfield line, Karlie spotted center forward Belle Briede making a run toward goal. “I look up and I’m like ‘all right, I’m just going to go for it.’ We’re up 2-1 and I’d rather lost the ball in their end than in ours,” she says. “So I hit this ball and Belle runs on to it and ends up scoring and we go up 3-1. Soccer is a game of skill and speed. 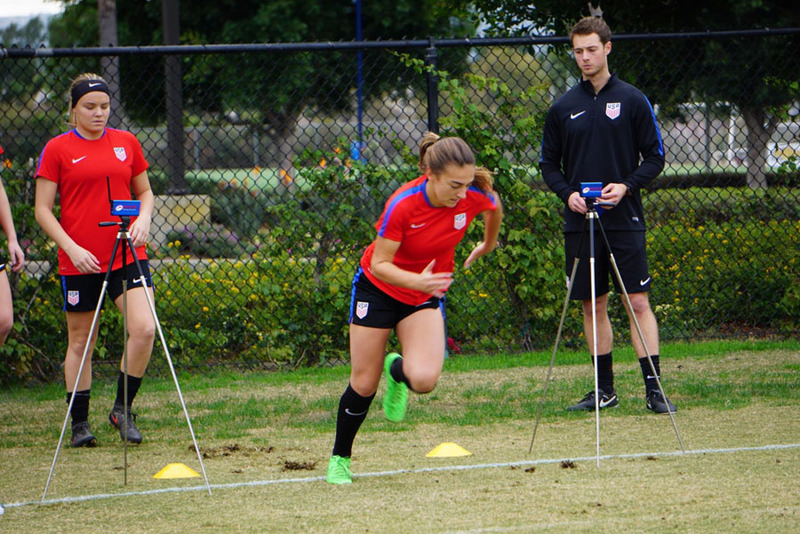 Paschall runs the 20-yard dash at the last U18 camp in December 2016 for fitness testing. The tournament is just another milestone in the remarkable career of one of Tennessee’s premiere youth soccer players. Karlie’s list of accomplishments and awards are a country mile long and include the following: seven club state championships, four regional championships, one national championship, three-time Tennessean All-Midstate selection, and 2016 American Family Insurance All-USA Preseason Girls Soccer Team. 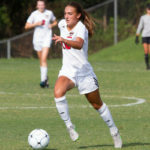 By the time she began her senior year at Ravenwood High School in Brentwood, she had scored 69 goals, had already committed to play college soccer at Duke University, and had been a member of four youth national teams — U14, U15, U17, and U18. Not even old enough to vote, Karlie’s soccer career has been one heck of a wild ride. Not bad for a kid who got noticed playing a different sport entirely — basketball. 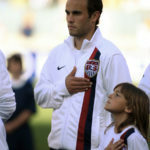 Young Karlie Paschall stands beside U.S. soccer legend Landon Donovan as a ball girl for the USMNT during a match at Nissan Stadium in Nashville. The hours Karlie spent training and with a ball at her feet paid off. By eighth grade, she was being recruited by college coaches and was gaining notice by US Soccer coaches as well. 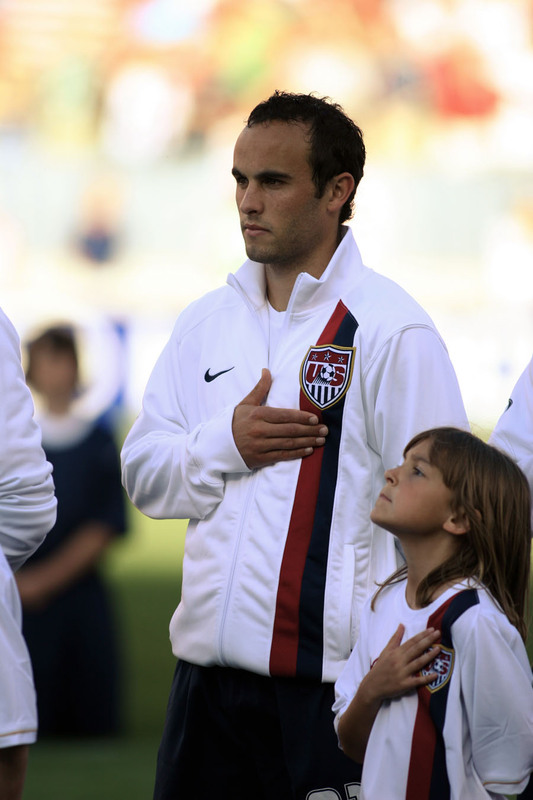 At the age of 13, she was called up to train with the U14 team and progressed quickly up the ranks to the U15 team. She was soon called up to train with the U17 team a year ahead of schedule, earning her first CAP on February 5, 2014, in a game against China. Karlie stayed with the U17 team for two more years, earning significant playing time. Assuming that she had performed well enough to make the final World Cup qualifying roster, Karlie received some bad news from head coach B.J. Snow. “It was the final training camp before BJ Snow made the roster and he sits me down and he said ‘Karlie, we’re evaluating you at two different positions and that’s a unique situation for you to be in, but I wanted you to know you didn’t make the roster,’ ” she remembers. 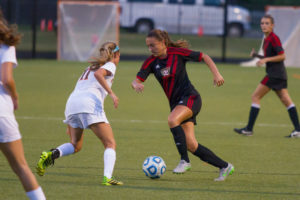 Paschall takes on a defender as a high school senior with Ravenwood Soccer. 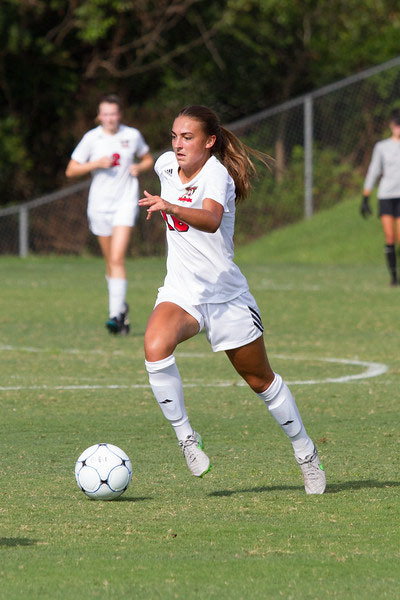 Below: Paschall is all concentration as she prepares to dribble at the defense during on of her first home games of her senior season for Ravenwood Soccer. Karlie also realized she had become complacent in her training — although complacent for Karlie would still be overzealous for most people. While she continued training hard, doing extra workouts, and working to improve her ball skills, she says that, looking back on it, she had lost her “edge.” She began keeping a training journal tracking her workouts, nutrition, and even her moods. She started using a heart monitor to track her fitness levels, training two to three times a day in an effort to improve her game as much as possible. The hard work and time in prayer and meditation have paid enormous dividends. She received a scholarship to play forward with Duke and, last year, received an invitation by head coach April Heinrichs to join the US Women’s U18 team, culminating in the fall trip to Northern Ireland. Getting a much-deserved break for the holidays, Karlie will be back in camp with the U18 team in February for more training and competition, all with a smile on her face, excitement in her heart, and the word ‘burnout’ nowhere in her vocabulary. 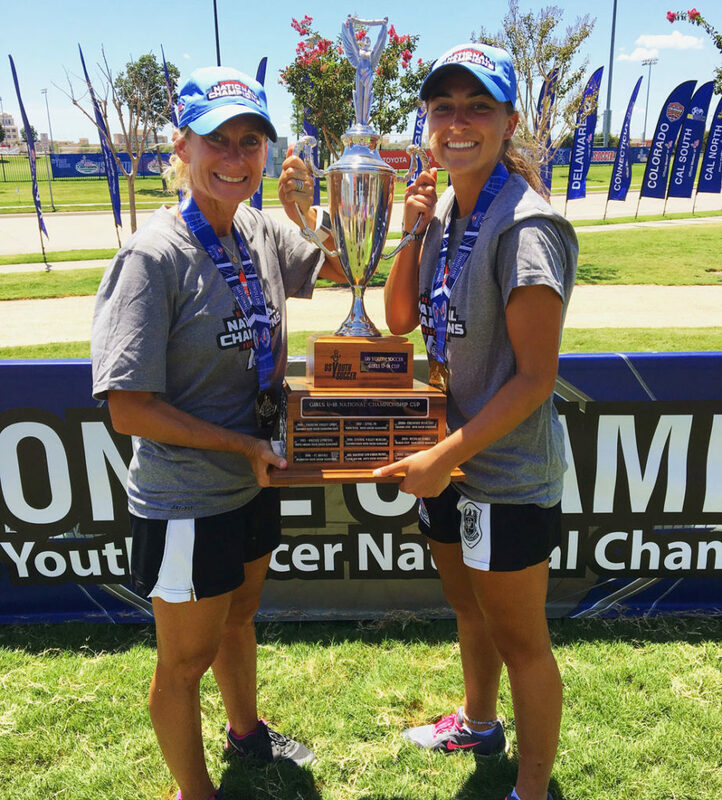 Karlie Paschall celebrates with her coach and Duke Women’s Soccer alumna Ronnie Woodard after winning the U18 National Championship.